Having such a global orientation helps us to better understand existing cultural differences and tastes regarding diamonds and to adapt ourselves accordingly. 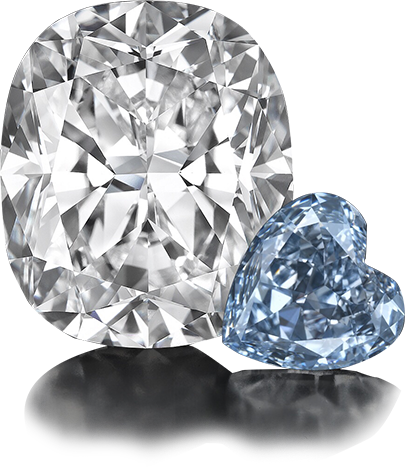 We pride ourselves on being able to accommodate varying diamond-supply requirements and requests that are unique to the countries in which we operate. We specialize in supplying high-quality, perfectly cut diamonds, and our inventories feature a large and diverse variety of white and fancy color diamonds in a variety of sizes and shapes. We also offer perfectly matched pairs and layouts, according to customer’ needs. We serve hundreds of clients worldwide, including both large franchises and independent shops, many of whom are internationally renowned and exclusive jewelry brands. To ensure the high quality and consistency of our stock, we operate state-of-the-art diamond-manufacturing facilities in Israel and in Russia, which use the latest, most advanced technologies in diamond cutting and polishing. Our facilities are managed by highly skilled and experienced teams. Our firm is committed to maintaining the highest ethical standards and business practices. The rough diamonds we source originate in various mines around the world, and we guarantee that all of our rough sources are compliant with the international, joint-governmental Kimberley Process Certification Scheme (KPCS), which works to ban the flow of conflict diamonds. We are also members of the Responsible Jewelry Council (RJC), the Natural Color Diamond Association (NCDIA), and the Israel Diamond Exchange (IDE), which sets national regulation for Israel’s diamond trade. Customer satisfaction is very important to us, and we believe that offering value-added services can help guide our customers toward making better purchasing decisions. Among the services we offer our long-term customers are: diamond re-cutting and re-certification, support at customer events, access to our online inventory data, including via a newly launched app, diamond-investment consultations, global shipping options, and in-house training seminars about diamond basics for our clients’ staff and sales personnel around the world. 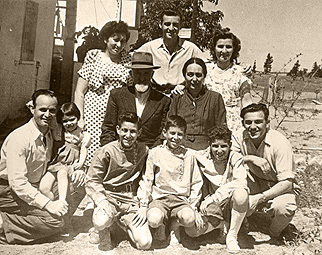 In the 1940s, a few of the Rachminov brothers began working as diamond cutters in one of Israel’s first diamond cooperative called Buchra Diamonds. Within a number of years, they established their own business that specialized in diamond cutting, sales and trading. Then, in the early 1950s, they opened the first A.A. Rachminov branch in Valenza, Italy, a key center for jewelry setting and design at that time. This diamond-cutting and -polishing facility served the vibrant jewelry industry in that northern Italian town, and its success there was soon followed by an additional facility in Antwerp, Belgium. Over the decades, the brothers’ business steadily grew and then flourished. It has since become one of the three leading diamond exporters in Israel, serving hundreds of clients around the world, including many exclusive global jewelry brands. The Rachminov family heritage is closely entwined with the diamond trade. Many members of the extended family are also involved with the diamond industry and serve A.A. Rachminov in different capacities. Our company history is one of a diamond family striving to achieve the utmost quality in supply and the highest excellence in customer care. This is especially reflected in all of our ongoing success in filling custom orders and meeting customers’ diamond needs. Rachminov brothers began their diamond polishing training. Mati and Ori Rachminov, the 2nd generation descending from the Rachminov brothers, established A.A Rachminov Diamonds in Ramat-Gan, Israel. Expanding our footprint in the far east market with the opening of our Shanghai office. Launch of our new offices in Japan and Bangkok. A new US branch in New York.